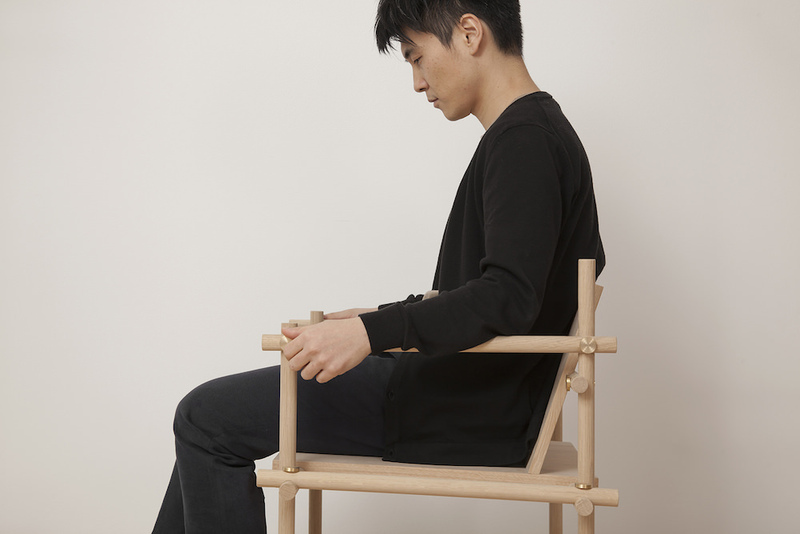 These marvellously minimalistic furniture pieces are the work of Sanghyeok Lee, a Korean designer who explores the ways in which we interact with and relate to our furniture. 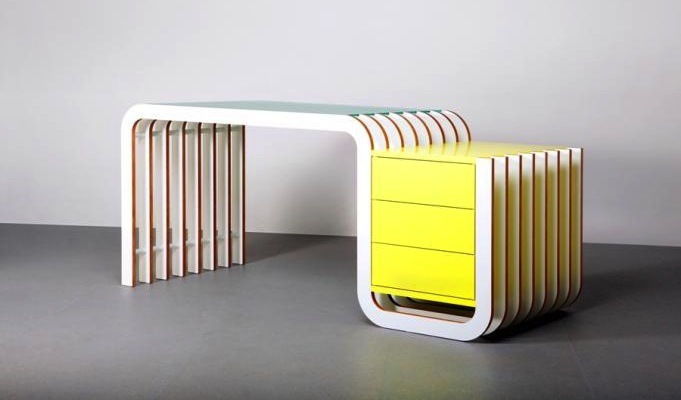 In the past we’ve seen his project ‘Listen To Your Hands’, a complex desk with an array of draws which can open at random when another is closed carelessly. 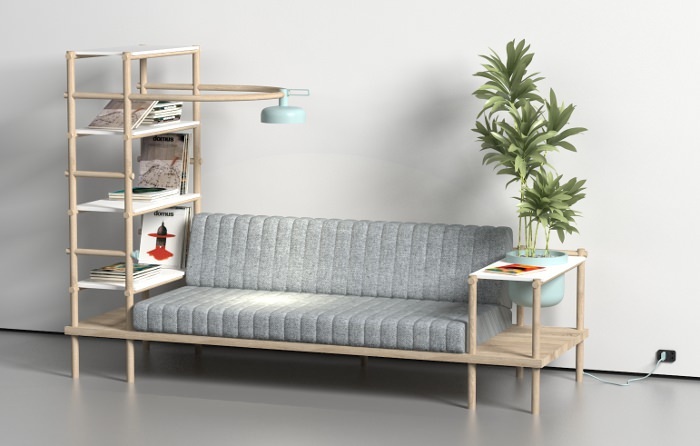 ‘Useful Living’ is certainly a much more practical design (as it’s name would suggest) and balances aesthetics with utilitarianism perfectly. 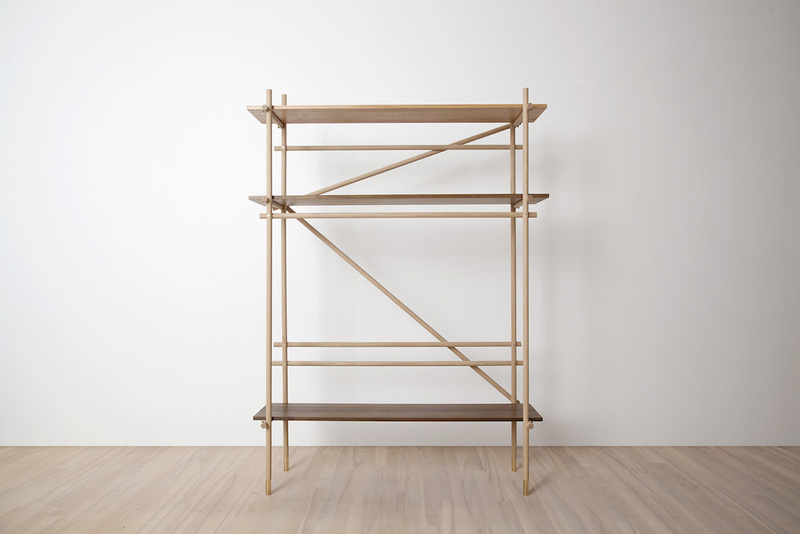 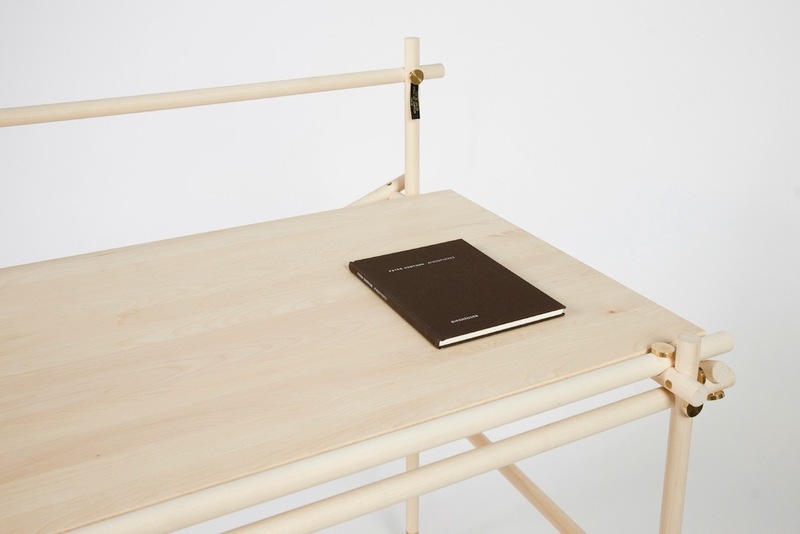 It is the second iteration of the ‘Useful Arbeitsloser’ series, that saw Sanghyeok Lee design several furniture pieces (2 tables and 2 shelves) loosely modelled on scaffolding. 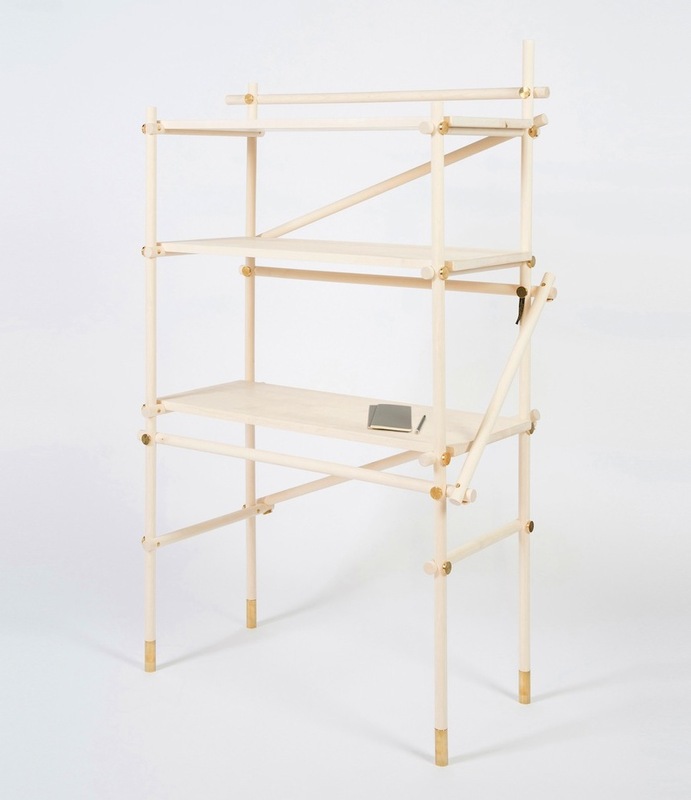 He saw similarities between these essential but often overlooked structures, and his life as a recently graduated but unemployed designer. 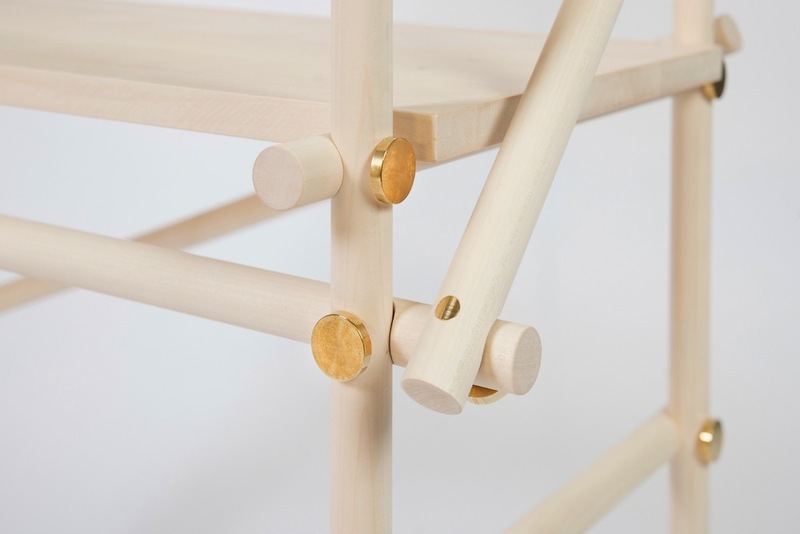 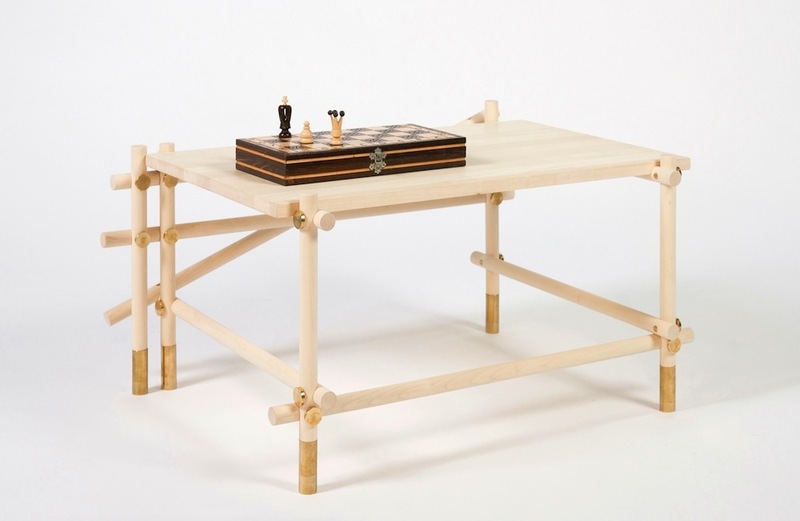 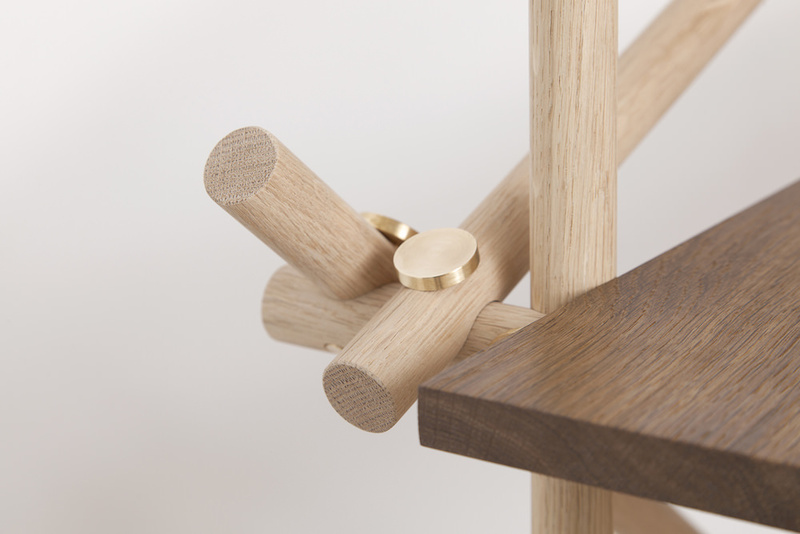 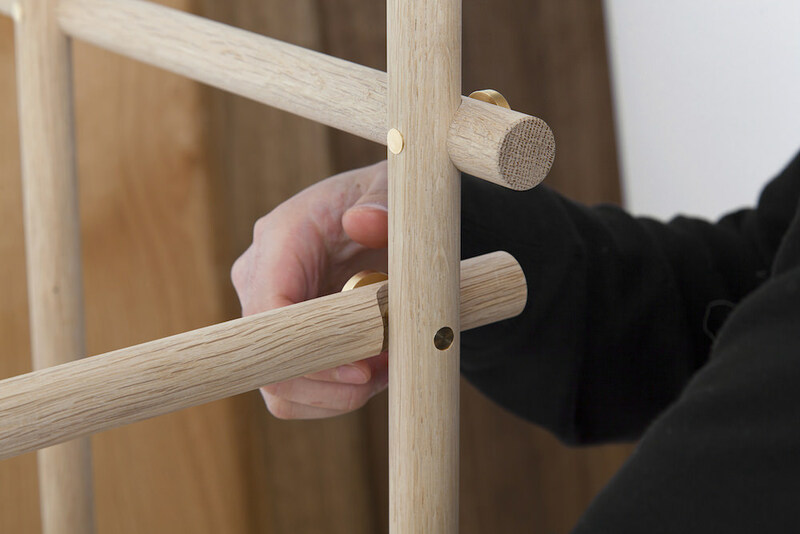 The original ‘Useful Arbeitsloser (Jobless)’ objects were composed of light European maple wood dowels and panels accompanied by polished brass bolts, while the second ‘Useful Living’ series replaced maple for a darker smoked oak wood. 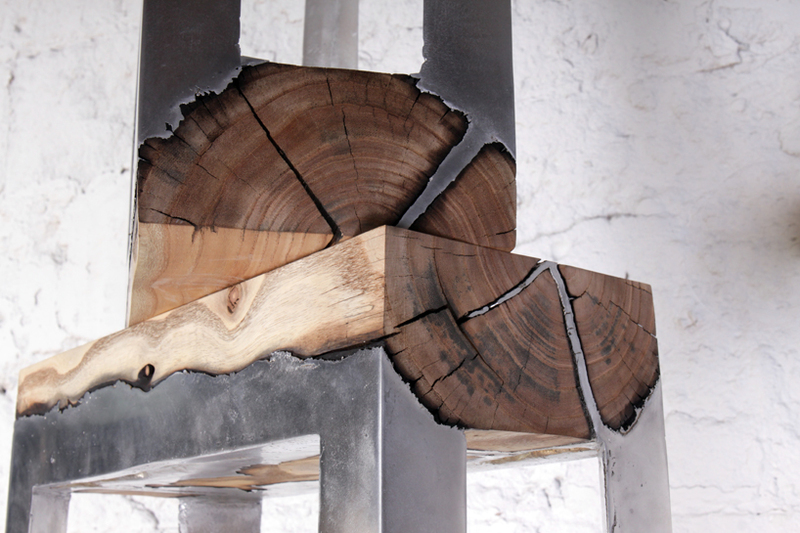 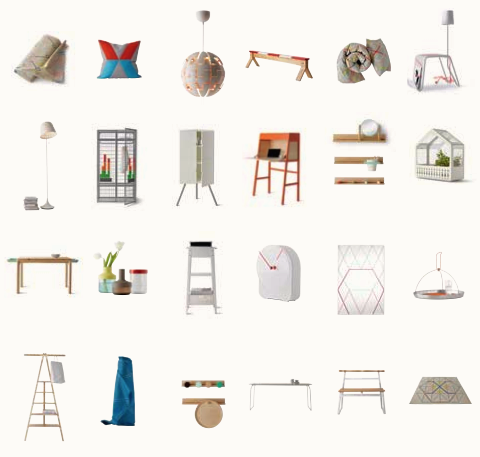 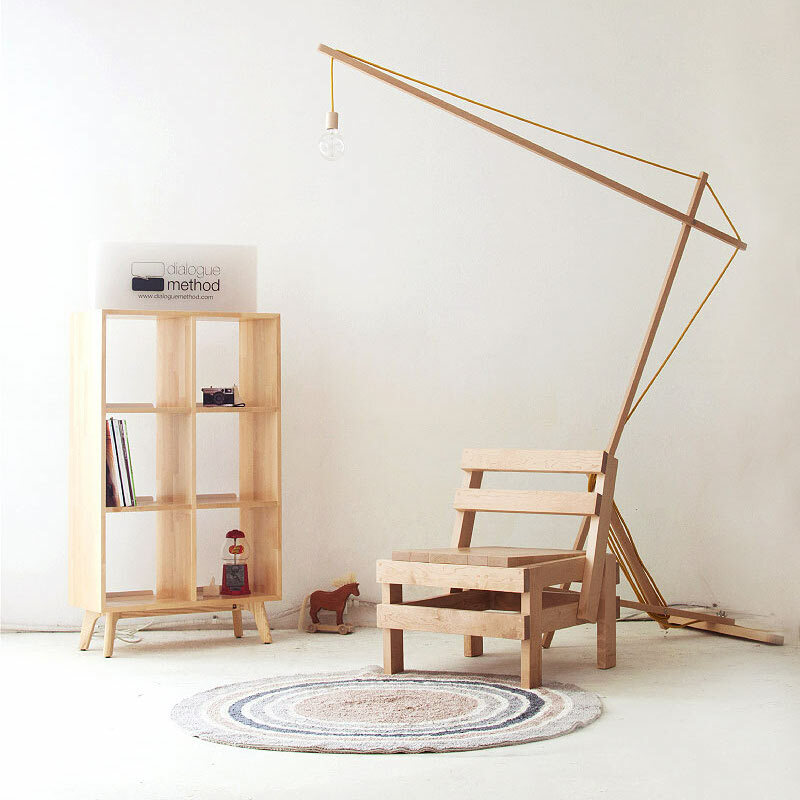 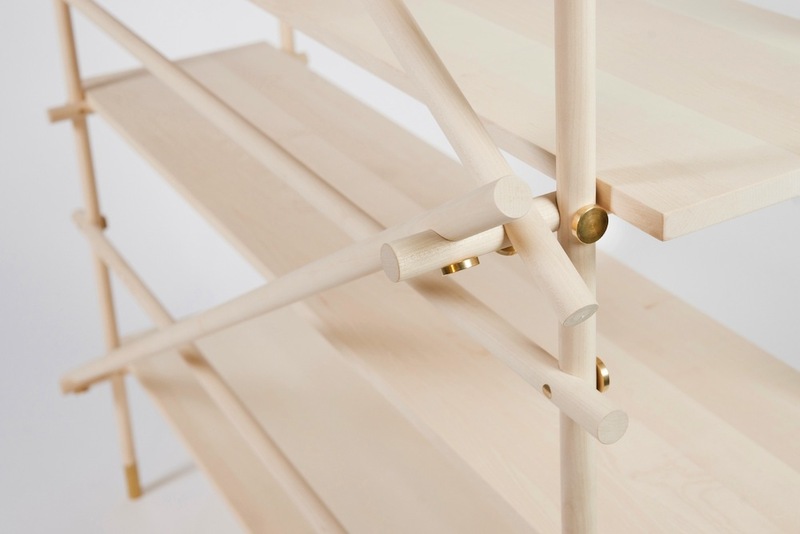 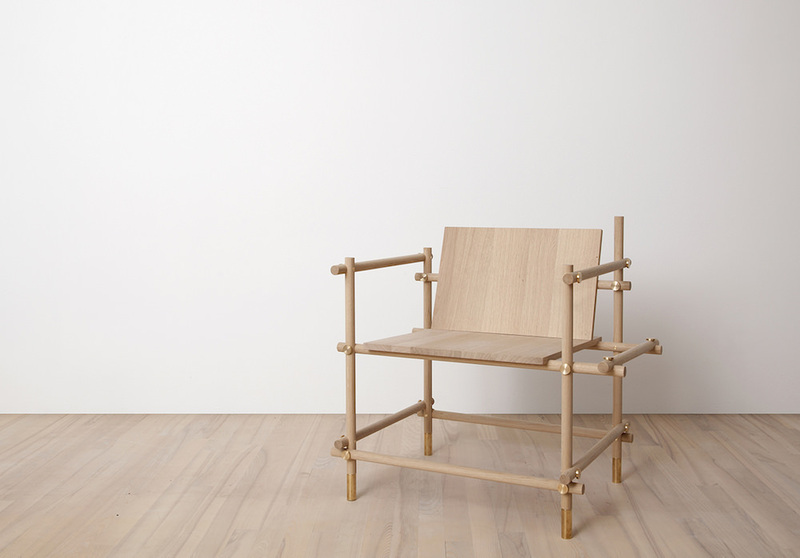 This second series features a chair, a rack and a shelf and won Sanghyeok Lee the Time to Design award of 2013.